There is always a need for child care. Working parents need a place they can trust to take their children when they cannot be there to care for the kids themselves. Starting a Utah day care business, either in your home or a day care center, can be difficult because there are such specific requirements. These requirements are necessary, however, to create a safe and healthy environment for Utah children. Utah requires that all day care providers and personnel be at least 18 years old and pass a background check to become licensed. If the day care service operates in the home, a background check must be performed on all family members over age 12, even if they are not going to be working with the children. The ratios of children to adult providers in a home day care are: one caregiver per eight children including two infants, one caregiver per six children including three infants, or two caregivers for nine to 16 children including four infants. Any children living in the home under age 4 count in the ratios. If the city or county where the day care is located has more strict requirements, providers must follow the more strict requirements. For a home to be eligible as a Utah day care location, it must have current fire clearance and the kitchen must be inspected and approved by the health department. Day care centers must maintain a bodily fluid cleanup kit and a first aid kit that is fully stocked and easily accessible in the building. A first aid kit must also be in any vehicles used for transporting the children. The home or building that will be used for the day care must pass a safety inspection conducted by the licensing committee. This inspection checks for potential safety hazards and existing safety measures, such as outlet covers and gates on stairways. A person intending to become a day care provider in Utah is required to submit an application with a $25 application fee that shows she has met all the requirements for licensing. She must take 20 hours of training once a year, 10 of which must be in-person training. This training must cover certain topics, such as diapering infants, preventing injury and providing good child health and nutrition. The training classes are available for free from the Bureau of Licensing. The applicant must also be certified in both CPR and first aid. Once all the required training is completed, the applicant will complete the testing that is included in the application. Once the application is approved, the licensing bureau will inspect the property and decide whether or not to grant a license. Becksterhed, Linda. "State Requirements for Starting a Daycare in Utah." 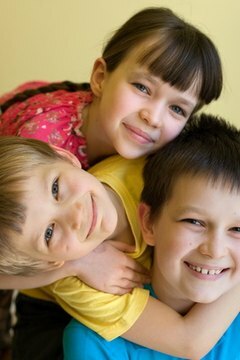 , https://careertrend.com/list-6646863-state-requirements-starting-daycare-utah.html. 28 November 2018.